Boxer and Weslaco native Omar Figueroa Jr. was arrested by the Indian Wells Police Department on a DUI charge on Jan. 29 in Riverside County, California, according to Riverside County Sheriff’s Department records. Figueroa was arrested at 3:14 a.m., booked at 6:28 a.m. and released later that day on his own recognizance. 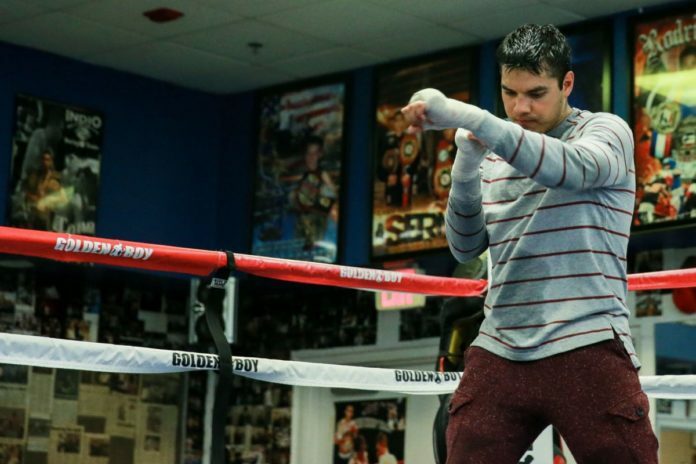 Figueroa, 28, is slated for a 12-round super lightweight WBC eliminator bout against Adrien Broner on April 21. Owner of a 27-0-1 career record with 19 KOs, Figueroa last fought on July 15, defeating Robert Guerrero via third-round TKO. The bout ended a nearly 19-month layoff for Figueroa, a former WBC lightweight titleholder. Broner is a former four-weight world champion with a career record of 33-3-0 (24 KOs) who faces legal trouble of his own after being booked into Fulton County Jail in Atlanta on Tuesday morning on a misdemeanor sexual battery charge, according to an ESPN report. ESPN was also the first to report Figueroa’s arrest, publishing a report Tuesday. Figueroa’s next court date is 7:30 a.m. March 26 at Indio Larson Justice Center in Indio, California, according to sheriff’s department records.